Austin The Archivist: Checked on this today and it was missing. Replaced before so archiving. Not long after the First World War, Bristol experienced an extensive growth in population. This saw the need of new housing. From 1929 to 1939, new housing developments began to be seen in many parts of the city, including former farmland, known as Southmead. Among the new population of Southmead were many Catholics. 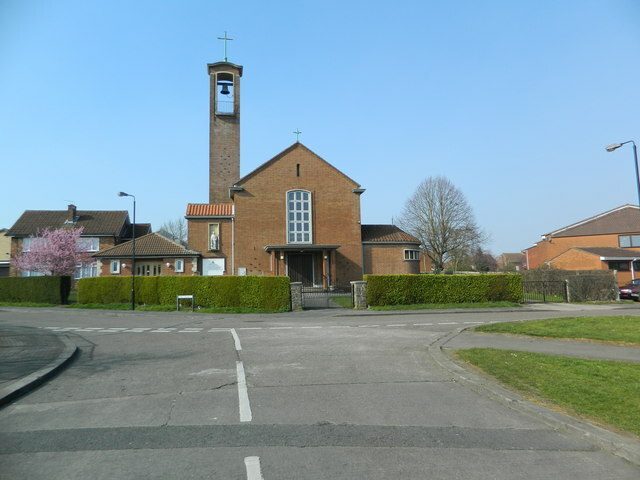 The building of new houses continued after the Second World War and it became apparent that a permanent Church was needed on the new estate. A plot of land on Glencoyne Square was purchased for £900 by the Diocese of Clifton in 1953. Building works soon began. On Low Sunday 1955, Bishop Joseph Rudderham Blessed and dedicated the new Church of St. Vincent de Paul. structures in place the Parish of St. Vincent’s began working together in communion with the Parish of St. Teresa’s Filton. Both Parishes are now working closely together under the pastoral supervision of Fr. Tom Finnegan. St. Vincent’s remains a vibrant and now very multicultural parish with close links to the community of Southmead and the city of Bristol beyond.